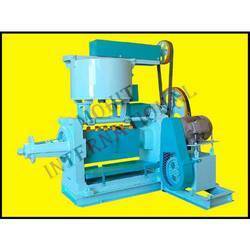 We are a leading Manufacturer of copra oil extraction machine mohit 250, groundnut oil extraction machine mohit 50, high capacity oil expeller for all kind of oil seeds mohit 600, oil seed expeller mohit 100 and edible oil expeller machinery from Ludhiana, India. We are offering to our clients Fabricated Oil Expeller which is suitable for crushing all types of oilseeds whether edible or non-edible. Helical gears, quail worm separate drive. 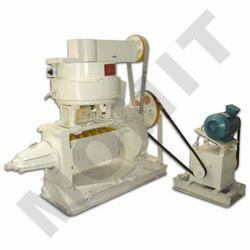 We are offering to our clients Oil Expeller ( Mohit 50 ) which is suitable for crushing all types of oilseeds whether edible or non-edible. Single reduction gearbox with spur gears. Fabricated chamber size: 20" long x 3 1/2" diameter. The superior quality of oil & cake. Maintenance required is less & easy. Cake thickness adjusting feature is not available in this model. A superior quality of oil & cake. Chamber is assembled from plate and frames of size 33"xø6"
We are offering to our clients Oil Seeds Expeller which is suitable for crushing all types of oilseeds whether edible or non-edible. Fabricated chamber of size: 24" long x 4" diameter. 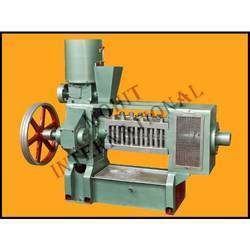 Available with us are a wide range of Edible Oil Expeller Machine, which is offered at the most nominal prices to the patrons. These are manufactured by using premium quality raw material and are fabricated by employing latest machinery as well as advanced technology that lends it exceptional durability and optimal performance.